The benefit has not been quite as easy to attain in smaller configurations. Often the installation of cloud technologies require the purchase of large management infrastructures in order to provide the benefits listed above. 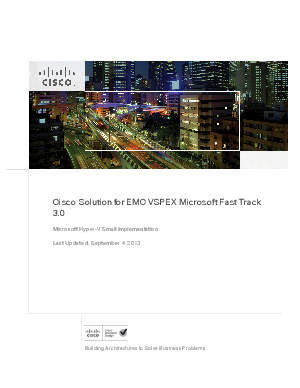 With the advent of the improved built-in management capabilities of Windows Server 2012, the improved Hyper-V that comes with it, and the Cisco UCS PowerTool PowerShell module, it is now possible to bring some of the benefits of cloud technologies to small and medium businesses or remote offices of larger businesses.